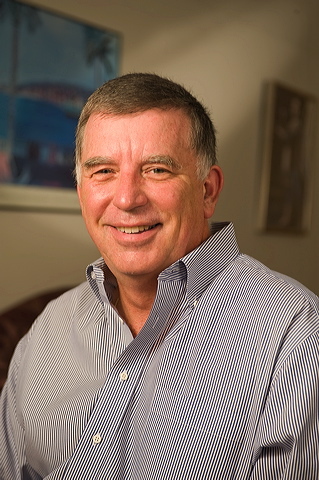 I am an economic historian who works on the interaction of political and economic development. I am particularly interested in how patterns of economic institutions change over time and specifically how patterns of economic institutions interact with political institutions in a way that make both economic and political institutions sustainable over time. Most of my work has been in American history, but over the last decade I have begun working on contemporary development problems around the world. My interests span economics, institutional economics, political economy, economic history, development economics, political science, history, anthropology, sociology, and cognitive psychology. With Douglass C. North and Barry R. Weingast, Cambridge University Press, 2009. Translations into French (Violence et orders sociaux. Translated by Myriam Dennehy, Paris: Gallimard, 2010), Russian (Cyrillic, 2011), German (Gewalt und Gesellschaftsordnungen, Translated by Monika Streissler, Mophr Siebeck, 2011), Italian, Chinese, and Japanese forthcoming in 2012. American Economic Growth and Standards of Living Before the Civil War, with Robert Gallman, NBER, University of Chicago Press, 1992. In The Shadow of Violence: The Problem of Development in Limited Access Societies, with Douglass C. North, Stephen Webb, and Barry R. Weingast. New York: Cambridge University Press, forthcoming, 2012. "Debt, Default, and Revenue Structure" with Arthur Grinath and Richard Sylla, 1998, NBER Working Paper on Historical Factors in Long Run Growth, #97. Revised as “Sovereign Default and Repudiation: The Emerging-Market Debt Crisis in U.S. States, 1839-1843.” NBER working paper, W-10753. “What Determines the Allocation of Grants to the States?”1997, NBER Working Paper on Historical Factors in Long Run Growth, #90. "Did FDR Prolong the Great Depression?" with Daniel K. Benjamin, Sloan Working Paper, No. 1085, University of Maryland, revised 1997. “What Caused the Crisis of 1839?” April 2001, NBER Working Paper on Historical Factors in Long Run Growth, #133. Revise and resubmit at Journal of Economic History. “Equilibrium Impotence: Why the States and not the American National Government Financed Economic Development in the Ante-Bellum Era.” With Barry Weingast, mimeo. Submitted to the Quarterly Journal of Economics, NBER working paper . “Sovereign Default and Repudiation: The Emerging-Market Debt Crisis in the United States, 1839-1843.” With Richard Sylla and Arthur Grinath, III. Revise and resubmit, Journal of Economic History. NBER Working Paper 10753, September, 2004. “A Conceptual Framework for Interpreting Recorded History.” With Douglass North and Barry Weingast, NBER Working Paper w12795, December 2006. “Stones, Bones, and States: A New Approach to the Neolithic Revolution.” With Richard Steckel. “Developing the Subnational Debt Market: Lessons from the United States.” With Lili Liu, World Bank research paper. “Limited Access Orders in the Developing World: A New Approach to the Problems of Development.” With Douglass North, Steve Webb, and Barry Weingast. World Bank Policy Research WPS 4359, September 2007. “Founding Errors: Making Democracy Safe for America.” Manuscript, 2009. “The Special Nature of General Laws in American History.” Manuscipt, 2010. "Public Relief and Private Employment in the Great Depression," with Daniel K. Benjamin, Journal of Economic History, 41, pp. 97-102, March 1981. "American Government Expenditures: An Historical Perspective," with Douglass C. North, American Economic Review, 72, pp. 336-340, May 1982. "The Birth of the Old Federalism: Financing the New Deal," Journal of Economic History, 44, pp. 139-159, March 1984. "Banks and State Public Finance in the New Republic: The United States, 1790-1860," with Richard Sylla and John B. Legler, Journal of Economic History, 47, pp. 391-403, June 1987. "Employment, Politics, and Economic Recovery in the Great Depression," Review of Economics and Statistics, 59, pp. 516-520, August, 1987. "U.S. City Finances and the Growth of Government 1850-1902", with John B. Legler and Richard Sylla, Journal of Economic History, 48, pp. 347-356, June 1988. "Should Transactions Costs Be Subtracted From Gross National Product?" with D.C. North, Journal of Economic History, 48, pp. 651-654, September 1988. "Does Economic Sclerosis Set in With Age? An Empirical Study of the Olson Hypothesis," with Wallace E. Oates, Kyklos, 41, pp. 397-417, 1988. "Employment in the Great Depression: New Data and Hypothesis," Explorations in Economic History, 26, 45-72, January, 1989. "Towards a Positive Economic Theory of Institutional Change," Journal of Institutional and Theoretical Economics, 145, pp. 98-112, March 1989. "The Political Economy of New Deal Fiscal Federalism," Economic Inquiry, 29, pp. 510-524, 1991. "Integrating Institutional Change and Technical Change in Economic History: A Transaction Cost Approach" with Douglass C. North, Journal of Institutional and Theoretical Economics, 150, pp. 609-624, December 1994. "Railroads and Property Taxes," with Jac Heckelman, Explorations in Economic History, 34, pp. 77-99, January 1997. “The Political Economy of New Deal Spending, Revisited, With and Without Nevada,” Explorations in Economic History, 35, 140-170, April 1998. “The Anatomy of a Sovereign Debt Crisis,” with Richard Sylla, Japan and the World Economy, 1998. “American Government Finance in the Long Run: 1790 to 1990,” Journal of Economic Perspectives, 2000. “The Political Economy of New Deal Spending, Yet Again: A Reply to Fleck.” Explorations in Economic History, April 2001. “Can the New Deal's Three R's be Rehabilitated? A Program-by-Program, County-by-County Analyis.” with Price V. Fishback and Shawn Kantor. Explorations in Economic History, July 2003. “The Property Tax as a Coordinating Device: Financing Indiana’s Mammoth System of Internal Improvements, 1835 to 1842.” Explorations in Economic History, July 2003. “Constitutions, Corporations, and Corruption: American States and Constitutional Change, 1842 to 1852.” Journal of Economic History, 65 1, March 2005, pp. 211-256. “The Market for American State Government Bonds in Britain and the United States, 1830 to 1843." With Namsuk Kim, Economic History Review, November 2005. “Violence, Natural States, and Open Access Orders: Implications for Democracy.” With Douglass C. North and Barry R. Weingast, Journal of Democracy, 2009. “Lessons from the Political Economy of the New Deal.” Oxford Review of Economic Policy, 26, 3, 442-462, 2010. “Lessons for California from the History of Fiscal Constitutions.” With Isabel Rodriguez-Tejedo. California Journal of Politics and Policy, 2, 3, pp. 1-19, 2010. “Institutions, Organizations, Impersonality, and Interests: The Dynamics of Institutional Change.” Journal of Economic Behavior and Organization. 2012. “Deconstructing the Dominant Discourse: Chang on Institutions and Development.” Journal of Institutional Economics, 7 (4 December) 2011, pp. 589-93. "Why 1933? The Origins and Timing of National Government Growth, 1933 to 1940." In Robert Higgs, ed. The Emerging Modern Political Economy, JAI Press, 1986. “Measuring the Transaction Sector in the American Economy: 1870 to 1970," with Douglass C. North. In Stanley Engerman and Robert Gallman, eds., Long Term Factors in American Economic Growth, Studies in Income and Wealth, vol. 51, Chicago: University of Chicago Press, pp. 95-164, 1986. "Decentralization in the Public Sector: An Empirical Study of State and Local Government," with Wallace Oates, in Harvey Rosen, ed. Fiscal Federalism, Quantitative Studies, NBER, Chicago: University of Chicago Press, pp. 5-32, 1988. Reprinted in Studies in Fiscal Federalism. Northampton, MA: Edward Elgar, pp. 107-130, 1991. "The Great Depression: Can It Happen Again?" in Second Thoughts: Myths and Morals of U.S.Economic History, in Donald N. McCloskey ed., New York: Oxford University Press, pp. 96-103, 1991. "Introduction,”with Robert Gallman, in Robert Gallman and John Wallis, editors, American Economic Growth and Standards of Living Before the Civil War, Chicago: University of Chicago Press, pp. 1-18, 1992. "Government Growth, Income Growth and Economic Growth", in John James and Mark Thomas, eds. Capitalism in Context, Chicago: University of Chicago Press, pp. 279-302, 1994. "The Interaction of Taxation and Regulation in Nineteenth Century Banking" with Richard Sylla and John Legler, in Claudia Goldin and Gary Libecap, eds., The Regulated Economy: An Historical Approach to Political Economy, NBER, Chicago: University of Chicago Press, pp. 121-144, 1994. “The Impact of the New Deal on American Federalism,” with Wallace Oates, in Bordo, Goldin, and White, ed. The Defining Moment: The Great Depression and the American Economy in the Twentieth Century, NBER, Chicago:University of Chicago Press, pp. 155-180, 1998. Reprinted in Environmental Policy and Fiscal Federalism: Selected Essays of Wallace E. Oates.Northampton, MA: Edward Elgar, pp. 325-350, 2004. “Early American Federalism and Economic Development, 1790-1840,” in Panagariya, Portnoy, and Schwab, ed. Environmental and Public Economics: Essays in Honor of Wallace E. Oates, Northampton, MA: Edward Elgar Press, pp. 283-309, 1999. "State Constitutional Reform and the Structure of Government Finance in the Nineteenth Century," In Jac Heckelman, John Moorhouse, and Robert Whaples, Ed. Public Choice Interpretations of American Economic History. Boston: Kluwer, pp. 33-52, 1999. “A History of the Property Tax in America,” in Property Taxation and Local Government Finance, Wallace E. Oates, ed. Cambridge: Lincoln Institute of Land Policy, pp. 123-147, 2001. Reprinted in State Tax Notes, 18, 23, May 29, 2000. "Market Augmenting Government? The State and the Corporation in 19th Century America" in Omar Azfar and Charles Cadwell, ed. Market-Augmenting Government: The Institutional Foundations for Prosperity. University of Michigan Press, pp. 223-265, 2003. “Government Finances and Employment,” Historical Statistics of the United States, Carter, Gartner, Haines, Olmstead, Sutch, and Wright eds. Cambridge University Press, 2003. “The New Deal” and “Government Administration” Oxford Encyclopedia of Economic History, Joel Mokyr, ed. Oxford University Press, 2003. “The Public Promotion of Private Interest (Groups)” Collective Choice: Essays in Honor of Mancur Olson, Jac Heckelman and Dennis Coates, ed. Springer-Verlag, pp. 219-246, 2003. “The Concept of Systematic Corruption in American Economic and Political History.” Goldin and Glaeser, ed. Corruption and Reform. Chicago: University of Chicago Press, pp. 23-62, 2006. “Politics, Relief, and Reform: The Transformation of America’s Social Welfare System during the New Deal.” With Price Fishback and Shawn Kantor. Goldin and Glaeser, ed. Corruption and Reform. Chicago: University of Chicago Press,pp. 343-372, 2006. “American Government and the Promotion of Economic Development In the National Era, 1790 to 1860.” In The Role of Government in U.S. Economic History: Essays in Honor of Robert Higgs, Price Fishback, ed. Chicago: University of Chicago Press, 2007. “Dysfunctional or Optimal Institutions: State Debt Limitations, the Structure of State and Local Governments, and the Finance of American Infrastructure.” With Barry R. Weingast. In Garrett, Grady, and Jackson, ed. Fiscal Challenges: An Interdisciplinary Approach to Budget Policy. New York: Cambridge University Press, 2008. “Answering Mary Shirley’s Question or: What Can the World Bank Learn from American History?” Haber, Weingast, and North, ed. Political Institutions and Financial Development. Stanford: Stanford University Press, pp. 92-124, 2008. 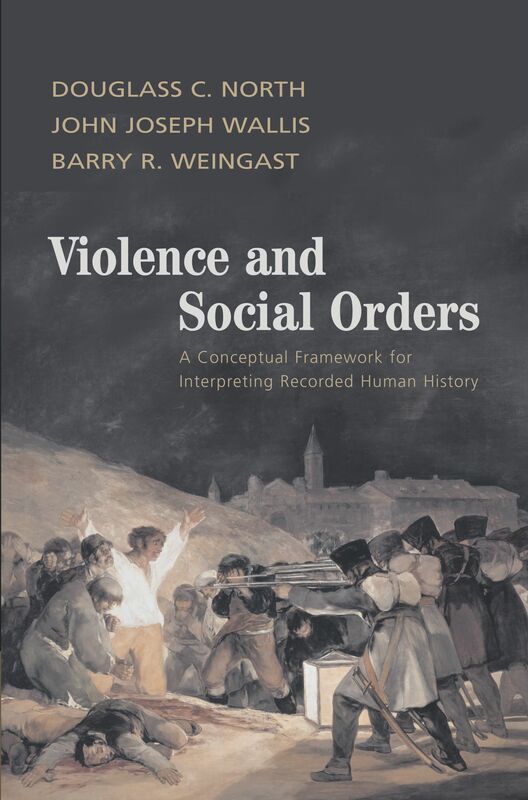 “Violence and Social Orders.” With Douglass C. North and Barry Weingast. Brian Levy, ed. Governance, Growth and Development Decision-Making. Washington, D.C.: World Bank, 2008. “The Other Foundings: Federalism and the Constitutional Structure of American Government.” Richard Sylla and Doug Irwin, ed. Founding Choices: American Economic Policy in the 1790s. Chicago:University of Chicago Press, 177-216, 2011. “Why aren’t Competitive Markets Self-Sustaining?” Eric Brousseau and Jean-Michel Glachant eds. Manufacturing Markets. Cambridge University Press, forthcoming 2012. “Fiscal Institutions and Fiscal Crises.” with Isabel Rodriguez-Tejedo. In Peter Conti-Brown and David Skeel, When States Go Broke: The Origins, Context, and Solutions for the American States in Fiscal Crisis, Cambridge University Press, forthcoming, 2012.